The event is not yet over, but Bob Smallwood has already set a best-yet result for Yukon at mixed nationals. A year after finishing in 10th place with a 5-4 record (a Yukon best), Smallwood’s Whitehorse rink will finish ranked no worse than eighth after qualifying for championship pool play Wednesday at the 2016 Canadian Mixed Curling Championship in Toronto. The top eight teams after the round robin qualify for championship play. Since qualifying for championship play, Yukon has dropped two straight, however: 7-6 to Nova Scotia and 7-3 to Alberta yesterday. The loss to N.S. 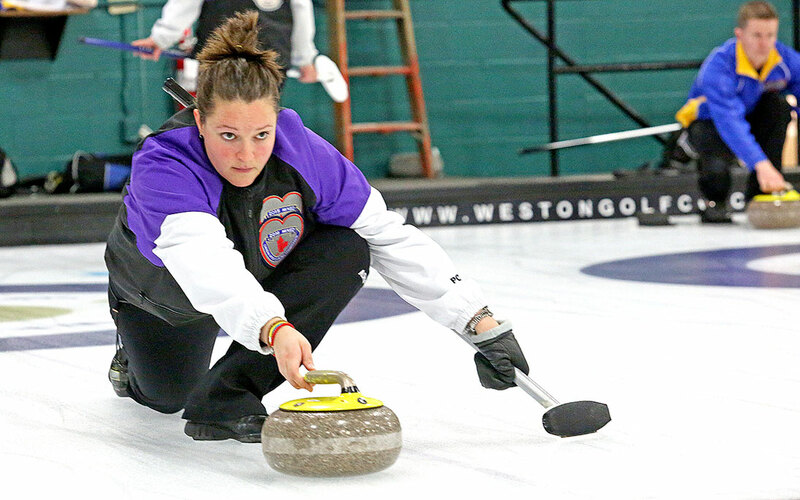 came despite a rare five-ender from Smallwood, which saw Yukon roar back from a 4-0 deficit in the third end. At press time today, Yukon was losing to Saskatchewan 6-1. The team faces Northern Ontario later this afternoon. The roster of skip Smallwood, third Nicole Baldwin, second Wade Scoffin and lead Jody Smallwood (Bob’s wife) is identical to last year’s squad. Their early success at mixed nationals came despite not much time on ice together this season. Smallwood said they played together just once this winter. Smallwood acknowledged he was playing with a sore throat – plenty of close shots have required an extra amount of verbal encouragement from the Yukon skip. The team is currently ranked seventh in championship pool play. Smallwood said if his team can somehow finish with a .500 record, it may yet sneak into one of the top four placements, qualifying the territory for a coveted playoff berth. Smallwood’s rink finished round-robin play with a 3-3 record, after beating Nunavut 13-2, Ontario 7-6 and Manitoba 9-4. The championship pool clinch came despite two straight losses to open the tournament: 5-3 to Northwest Territories, and 7-2 to Quebec. The rink’s third loss came against New Brunswick, 6-4 on last rocks. Smallwood said the loss to N.W.T. was especially disappointing, as his team “came out on fire,” going up 3-0 before giving up five straight singles. The current tournament at the Weston Golf and Country Club marks the third straight time Smallwood has led Yukon at mixed nationals. The winning team at this week’s event will represent the nation at the 2016 world championship in Russia.